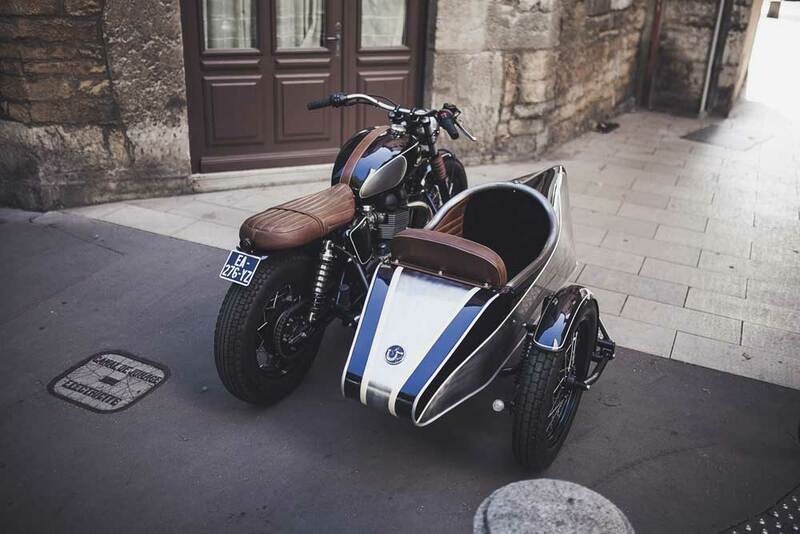 As I write this editorial, I can think of few, if any Triumph Twin side-car combinations as eye catching as this pairing of a custom Triumph Twin from Lyon based BAAK Motocyclettes, and a Precision side-car from French retro side-car restorer, Alternative Side-Cars – a pairing that debut at this years Paris Bike Shed show. 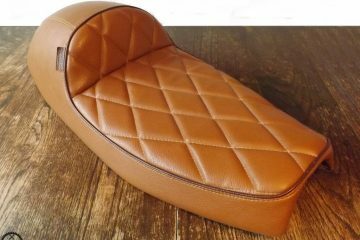 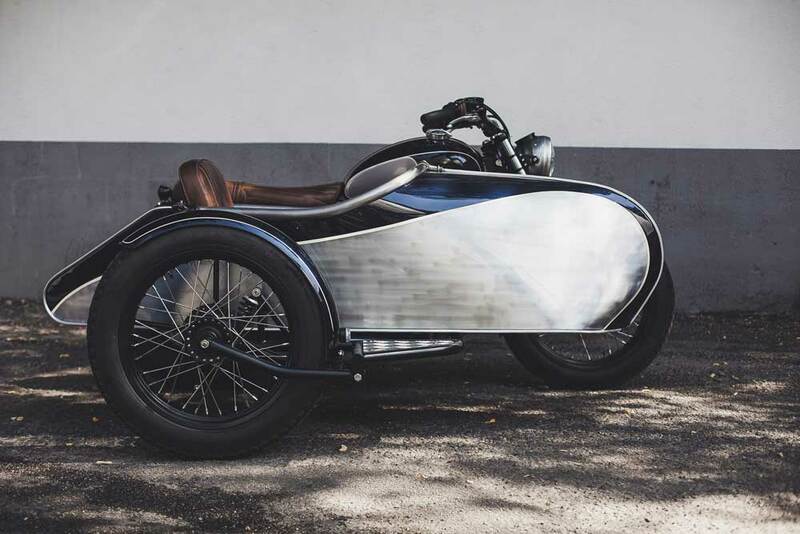 This Aiglon model’s side-car is fabricated in steel, following a design little changed since its development in the 1930’s. 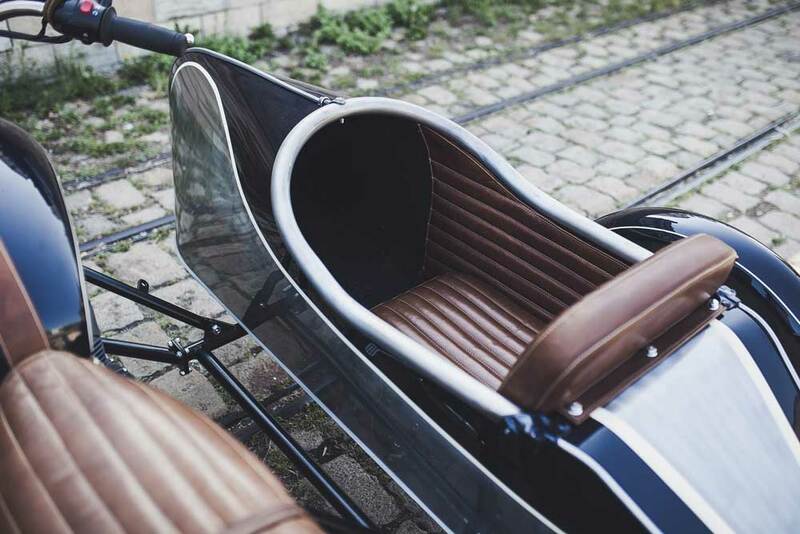 This 550mm wide body-tub is bolted to a custom chassis fabricated by Jean at Alternative, a chassis sporting a 19” wheel and 320mm Hagon shock. 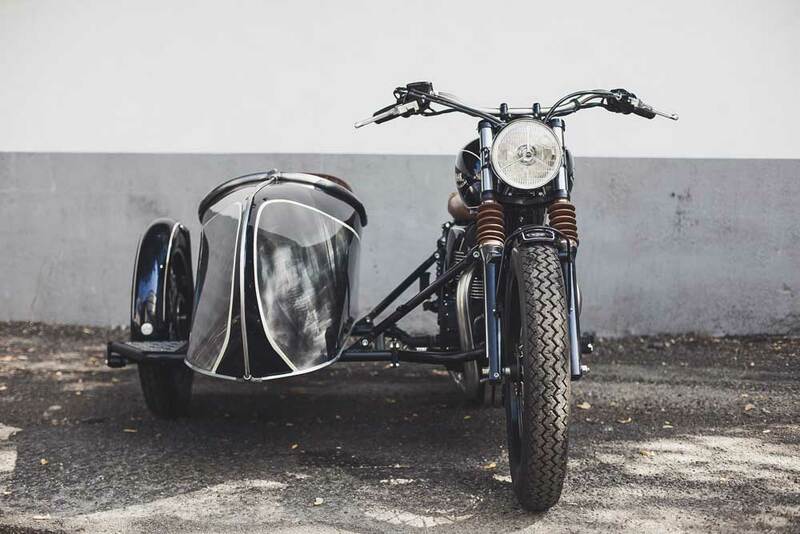 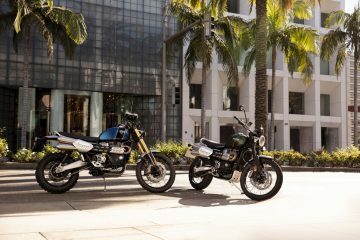 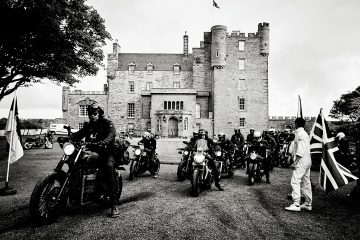 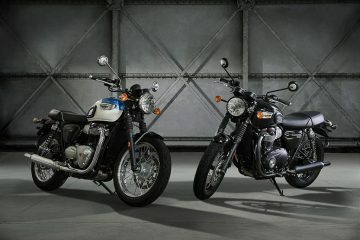 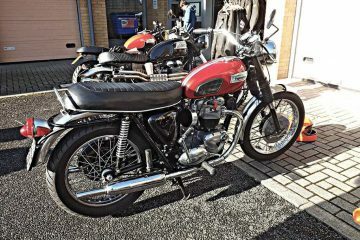 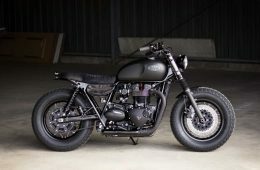 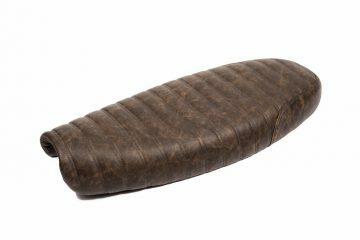 The side-car was then married to the 2015 Triumph Bonneville Black via 6 mounting points, utilising the T100’s engine and shock mounting positions. 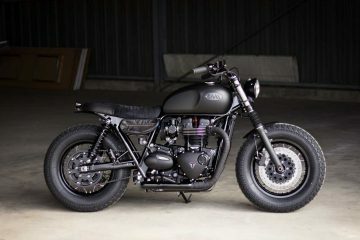 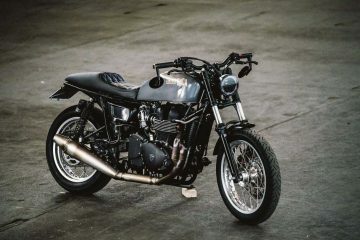 The Bonneville features a shortened frame using the BAAK Short Saddle kit, with aluminium rear loop, designed to be fitted to the steel frame without welding. 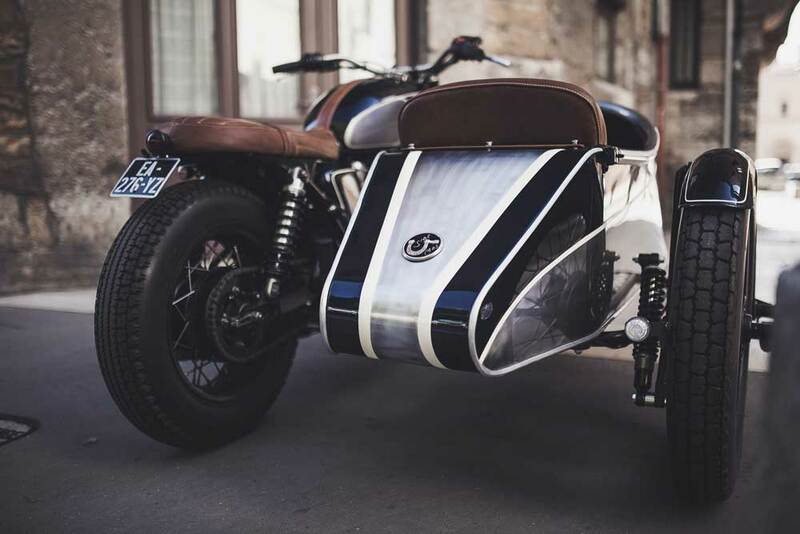 This ingenious Kit includes a brace, seat and a mudguard with LED tail light. 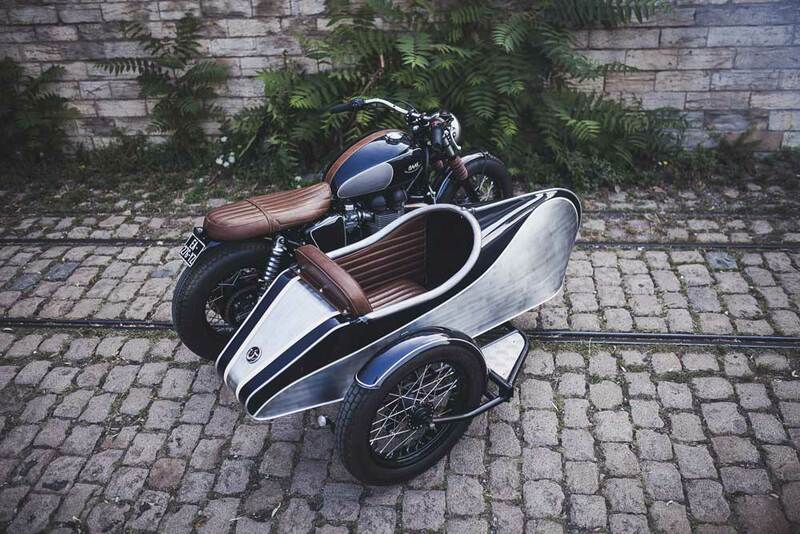 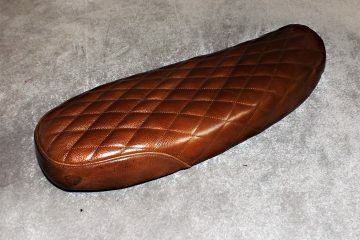 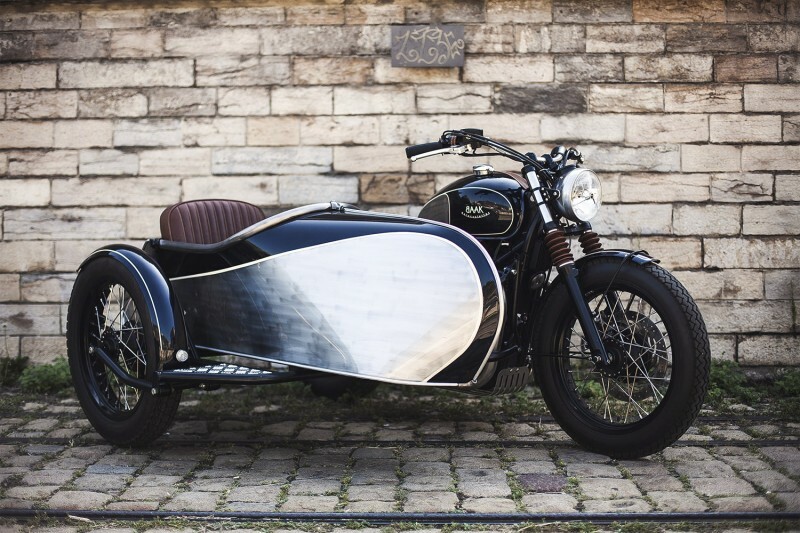 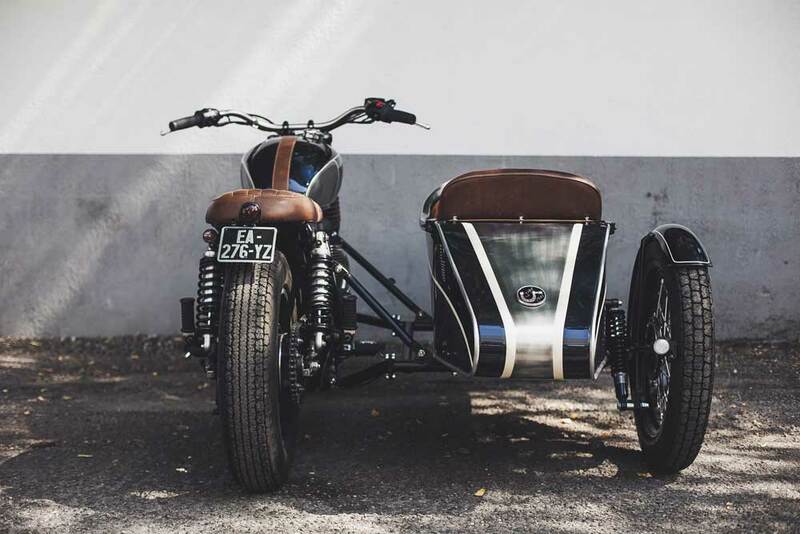 At the front is BAAK’s long aluminium mudguard, doing a better job of keeping the sidecars occupant dryer than a trendy shorty mudguard – above which are a set of beautifully crafted brown leather fork gaiters, matching the shorty seat and the Precision side-cars upholstery, ‘Tailor made’ in-house by the BAAK team. 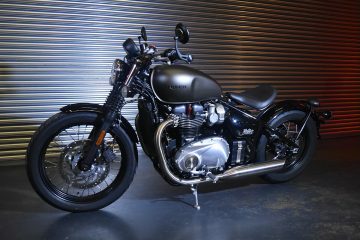 Finished in classic black over raw metal, with white coach-lines, the Bonneville T100’s fuel tank, sporting leather strap and Monza fuel cap, has been painted to match the classic finish of the Precision side-car. 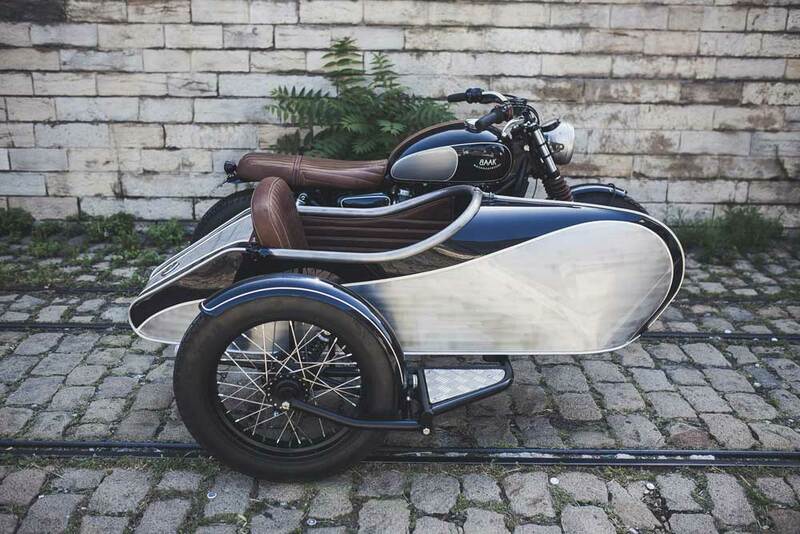 With the side-covers and mudguards painted sympathetically. 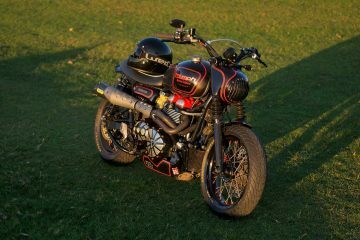 Improving the T100 front-end profile is the BAAK Headlight assembly, incorporating a Motogadget Classic Speedo, connected to the Triumph using a Motogadget m-Tri CanBus adapter – necessary when removing the speedo on 2011 machines onwards. 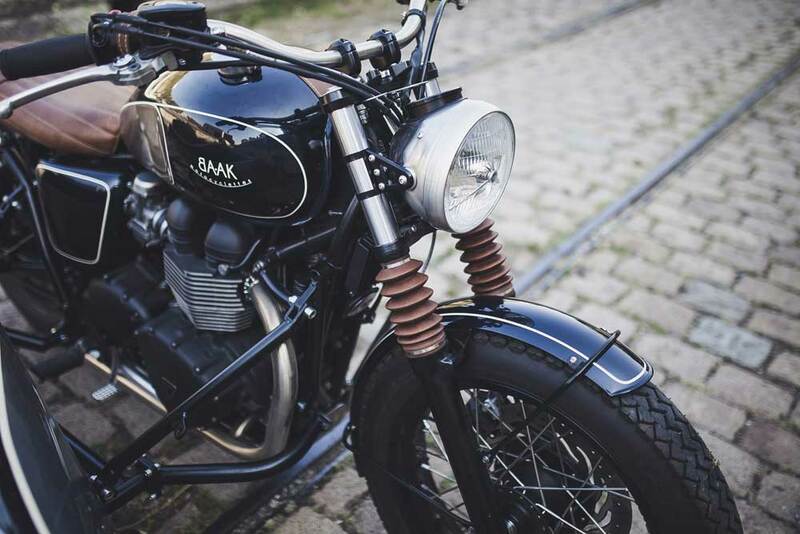 The light assembly was fitted to the T100 forks using a set of BAAK satin black headlight brackets. 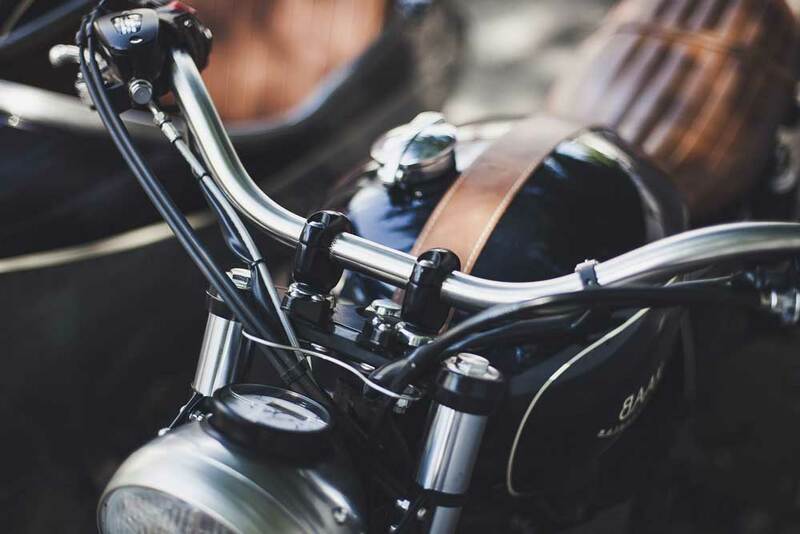 The handlebars are BAAK’s brushed 81cm wide and 9cm high stainless-steel N°1 bars, with stock switches, Biltwell Grips, and longer throttle and brake cables. 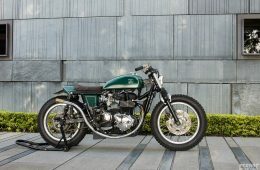 The T100 has been fitted with new shocks and progressive springs, supplied by Anglo French company Shock Factory, the suspension upgrade are 25mm shorter than stock, dropping this Triumph Twin onto a set of Avon Mk II wrapped alloy wheels – with the font getting a fat 3.50 x 19″ and the back a fatter 5.00 x 16″ tires. 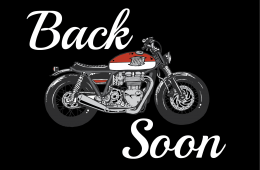 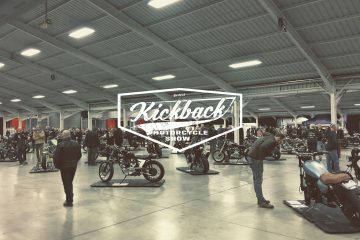 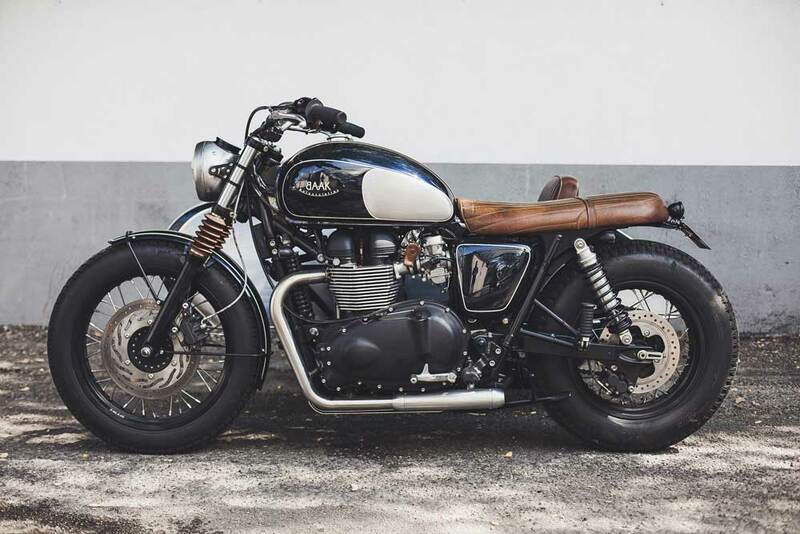 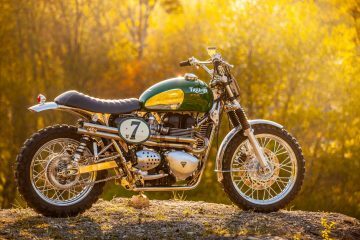 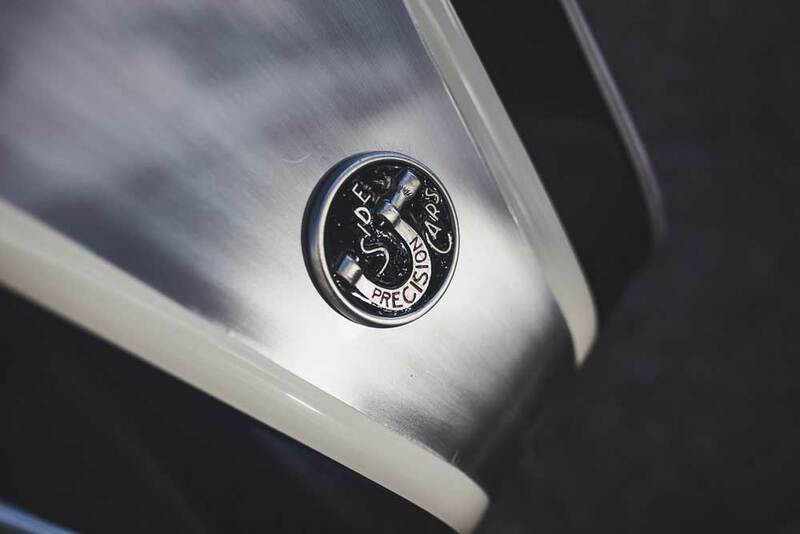 Finishing what has been named the Bonneville Alliance, is a 2>2 bobber exhaust system.with stainless steel manifold and aluminium mufflers, stainless steel sump guard, and a plethora of relocation brackets, all available from BAAK’s catalogue of accessories.